Our Cisco powered network in our secure Canadian datacenter has one of the most sophisticated and scalable networks capable of handling any sized client. We have carefully built the necessary infrastructure to comfortably support any of our clients’ Internet connection requirements — present or future! 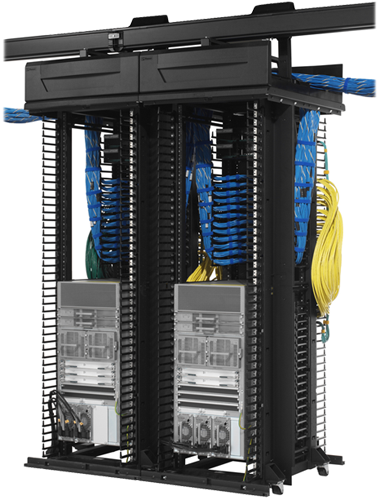 Furthermore, our infrastructure is at the forefront of telecommunications technology (OC192) and thus will be capable of supporting any of our clients needs through the years to come as connectivity standards increase and the need to upgrade arises. Cisco is the market’s leader in networking equipment, they have an extremely well-known reputation for their reliable equipment. All of our networking hardware is powered by Cisco routers & switches. The level of redundancy available on our network allows us to continue to provide you connectivity even in the unlikely event that we sustain multiple & simultaneous network hardware failures, or connectivity losses.